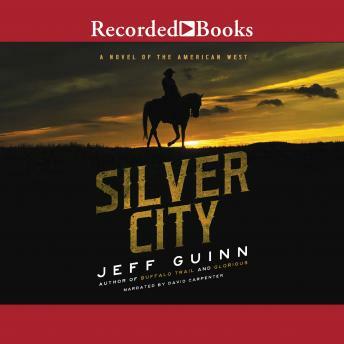 Cash McLendon faces stone-cold enforcer Killer Boots in an Old West showdown, in New York Times-bestselling author Jeff Guinn's riveting follow-up to Buffalo Trail. Cash McLendon, reluctant hero of the epic Indian battle at Adobe Walls, has journeyed to Mountain View in the Arizona Territory with one goal: to convince Gabrielle Tirrito that he's a changed man and win her back from schoolteacher Joe Saint. As they're about to depart by stage for their new life in San Francisco, Gabrielle is kidnapped by enforcer Killer Boots, who is working on orders from crooked St. Louis businessman Rupert Douglass. Cash, once married to Douglass's troubled daughter, fled the city when she died of accidental overdose-and Douglass vowed he'd track Cash down and make him pay. Now McLendon, accompanied by Joe Saint and Major Mulkins, hits the trail in pursuit of Gabrielle and Killer Boots, hoping to make a trade before it's too late.